How Axis Camera Station can be deployed in a variety of configurations. Axis Camera Station is specially designed to be used with Axis video products and to deliver superior results on a Windows Platform. Axis Camera Station is a complete monitoring and recording system for up to 50 cameras. The software offers easy installation and setup with automatic camera discovery, multi-configuration of devices and a powerful Event Configuration Wizard. View and record high quality video and audio from up to 50 cameras with H.264, MPEG-4 and Motion JPEG video compression. Support for H.264 video compression enables optimization of bandwidth and storage efficiency by significantly reducing the bit rate without compromising image quality. Scheduled and event-driven recordings are triggered by motion or external inputs. 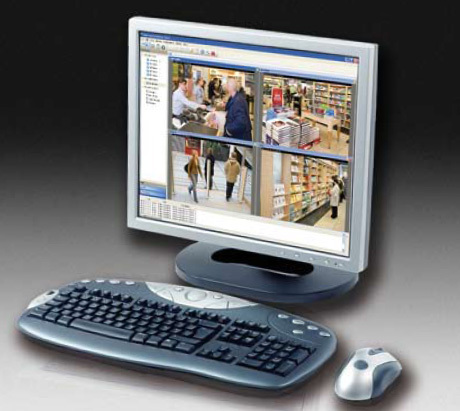 Axis Camera Station utilizes camera based motion detection to save bandwidth and disk space. Manual recording can be triggered directly in the live view interface. The base licences are for 4 or 10 cameras. Additional licences in +1, +5 or +20 configurations may be purchased up to a maximum of 50 on any one computer platform. See Axis Camera Station "User Interface� for screen shots of the user interface of Axis Camera Station. See "Installation Examples� for information on how Axis Camera Station can be deployed in a variety of configurations ranging from a basic stand-alone installation to one with both local and remote cameras and access over VPN. Scheduled and event-driven recordings are triggered by motion or external inputs. Axis Camera Station utilizes camera-based motion detection to save bandwidth and disk space. Manual recording can be triggered directly in the live view interface. Axis Camera Station offers a powerful recording search with timeline visualization and export functionality. Control of PTZ and dome cameras using a joystick or mouse gives responsive and accurate control of the pan, tilt and zoom functionality. Support for digital PTZ is available in both live view and playback. 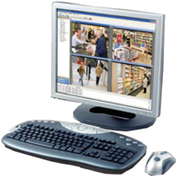 The Windows client of Axis Camera Station can be installed on any PC enabling remote viewing and control from anywhere on the internet or the corporate network. Axis Camera Station is scalable, with easy addition of licenses for up to 50 video channels per installation. Axis Camera Station One is a FREE software solution for the simultaneous viewing and recording of high-quality H.264, MPEG-4 and Motion JPEG video from a single surveillance camera. Axis Camera Station One is specially designed for use with Axis video products, and delivers superior results on a Windows PC, with no recording limitations in software. Download Axis Camera Station from the Axis web site. [Find out more...] Axis Camera Station "Technical Data Sheet", 130 kB pdf file. [Find out more...] Axis Camera Station "Quick Installation Guide", 377 kB pdf file. [Find out more...] Axis Camera Station "Installation Guide", 772 kB pdf file. [Find out more...] Axis Camera Station "User's Manual", 1,985 kB pdf file. [Find out more...] Axis Camera Station - IP-Surveillance Installation Guide, 3,327 kB pdf file.